Ko te manu e kai āna i te miro nona te ngahere. Ko te manu e kai āna i te mātauranga, nona te ao. The bird that consumes the berry his is the forest. The bird that consumes knowledge his is the world. An Education Review Office report (2011) stated that ‘many school leaders and teachers found the Treaty of Waitangi principle challenging to implement. Practise and develop the relevant use of te reo Māori me ngā tikanga-a-iwi in context. Specifically and effectively address the educational aspirations of ākonga Māori, displaying high expectations for their learning. Don’t get me wrong. I can get by with many formulaic expressions in te reo Māori in context. 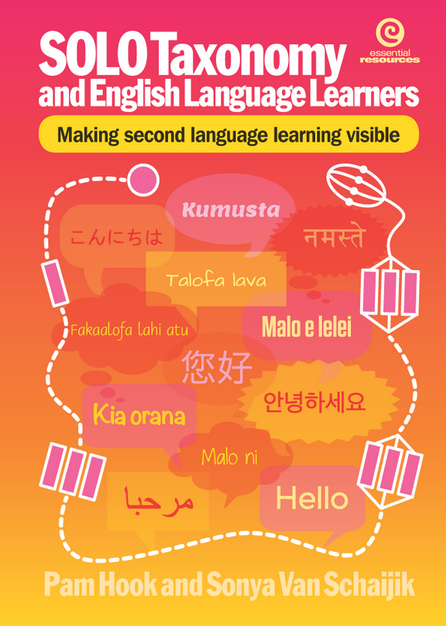 I understand key vocabulary that most teachers have learnt as part of our professional journey such as whānaungatanga, manaakitanga and tino rangatiratanga. Last year I carried out an online project where I managed nearly 40 educators as part of a Connected Educator activity where they formed groups and unpacked Tataiako, cultural competencies for teachers of Māori learners. Then when I tried to find evidence of me as an educator developing the relevant use of te reo Māori me ngā tikanga-a-iwi in context. I was a little disappointed in myself. As for specifically and effectively addressing the educational aspirations of ākonga Māori, displaying high expectations for their learning I can only touch on a small amount. This is the work I carry out with EdBookNZ where I ask for a chapter in the project and want it written in Te Reo. I do this because I know from personal experience that challenge I have when I need to write something in Samoan or give a presentation in Samoan or run a workshop in Samoan how challenged I am as a learner. So I contacted my mentor @ginnynz01 and asked if she had seen any evidence of me living this criteria and together we discussed what this looked like from her perspective. She reminded me of my work with data and how I collated and unpack the data school wide. One key time was digging deeper with our data and tracking how it changes from year to year and what this looks like across all our groups. I have started doing this too across our ACCoS community school data. This across school data has been shared with the principals and lead teachers across our cluster. I was reminded too about our school infrastructure that I helped build and maintain that enables teachers to provide a digital learning space for our learners. I can go in and see how effective the structure is between the students and across the teams. Then we discussed ngā tikanga-a-iwi in context and what this looks like at our school. Yes I can confirm that I work hard at making connections with our parents and families in the specific work that I do. I learn how to greet parents and children in their own language and usually carry out research of where they have come from. I generally connect new families with same language families at our school and ask our experienced families to look out for and make the new families feel welcome. I have encouraged our children to introduce themselves. My recent English Language Learners verification report confirms this and I was extremely proud of the feedback we received as a school. I can even make links in the work I do with our English Language Learners. I share with them our local stories and identify readers that they can read with an Aotearoa focus. In addition I set writing tasks that are influenced by school happenings. For example our up and coming Marae visit. With our teachers I am always sharing information about our learners and their cultures and backgrounds to support them in furthering their own connections with their learners. With our Maori learners I already know who they are and can identify which class they are in, what their progress is like and who their whānau and iwi are. When I see them I have learnt to keep them central in my student connections because this then heightens awareness for all our learners. When I check out Ka Hikitia – Accelerating Success identify the importance of supporting Māori students during times of transition in their educational journey I am clear about the role that I have by ensuring that data and progress is shared with our learners, whānau, our teachers and our feeder schools. So where to next. How do I consciously practise and develop the relevant use of te reo Māori me ngā tikanga-a-iwi in context? PCT 10 is not that big of an ask. I can easily do this for every presentation I deliver or every time I lead a meeting, run a workshop. I can easily begin with my pepeha and with a whakataukī like I did with my recent Ulearn presentation.I am already really conscious of the macrons and can now see when they are missing. When I write words in te reo Māori I check to ensure that I have them correct. This week we are visiting Orakei Marae as part of our bi annual trip to make connections with our local iwi and marae. Therefore I can easily put me ngā tikanga-a-iwi in context. In addition I am project leading for Flat Connections and our junior school is involved. We have discussed making connections between the indigenous people of the three countries involved. That could be another pathway for me to consciously focus on practising and working effectively within the bicultural context of Aotearoa New Zealand. This week I am presenting at the Asia New Zealand Ningbo conference so will begin with Kia Ora to the delegates. Finally I refer to our Newmarket Plan on a page created by our principal and deputy principal as part of their learning with Schools@Heart . They consulted and had input from our Board of Trustees our parents and our wider community. I can see our school wide goals, how I adhere to them and how I am culturally sensitive to these.